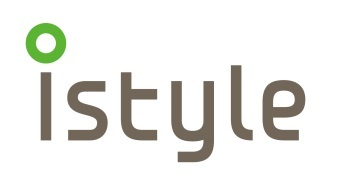 TOKYO, April 9, 2019 /PRNewswire/ — istyle Inc. (TSE Securities Code: 3660; hereinafter "istyle") opened a new official online store, "@cosme Official Flagship Store," on March 29, 2019, on China’s largest B2C general trade e-commerce website "Tmall.com (hereinafter "Tmall)," which is operated by China’s biggest online commerce company Alibaba Group Holding Ltd. (hereinafter "Alibaba"), through its consolidated subsidiary istyle China Co., Ltd. based in Shanghai. Since 2015, istyle has opened its first official overseas online store "@cosme Official International Flagship Store" on the cross-border e-commerce website "Tmall Global" operated by Alibaba. In addition to the sales of cosmetics products, istyle has provided local Chinese users with the same opportunities to experience beauty products and obtain beauty information as domestic Japanese consumers, and in so doing, created opportunities for many of these users to learn more about Japanese cosmetics brands. The number of cross-border e-commerce users in China continues to rise every year, exceeding 100 million people in 2018. Along with that, "@cosme Official International Flagship Store" has also grown steadily. At the same time, the number of monthly active users in the entirety of China’s e-commerce market reached 699 million people in 2018, and it is indisputable that the scale of the general trade e-commerce market in China is larger than that of cross-border e-commerce. 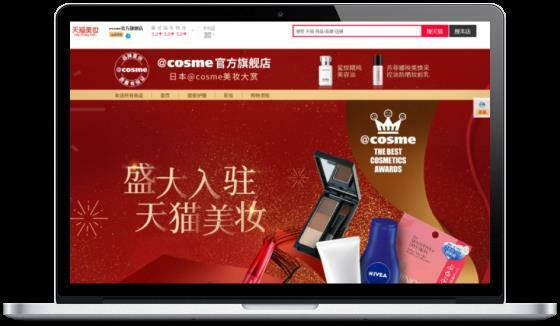 By entering the general trade e-commerce market, istyle will be able to deliver cosmetics products which are popular on @cosme to even more local Chinese users. Along with the grand opening of the new store, istyle will also seek to actively share beauty information from Japan and communicate with local Chinese users by officially launching its media account on Tmall’s social media platform "Weitao." In addition, although the postponement of the implementation of new cross-border e-commerce regulations mandating the submission of customs clearance certificates has been extended indefinitely beyond 2019, risks remain with regard to compliance with the new regulations once they come into force. By leveraging its e-commerce experience accrued from its domestic and international operations to set up cross-border e-commerce stores as well as general trade e-commerce stores within China, istyle aims to provide comprehensive support and become a stable and powerful platform for cosmetics brands’ access to China. 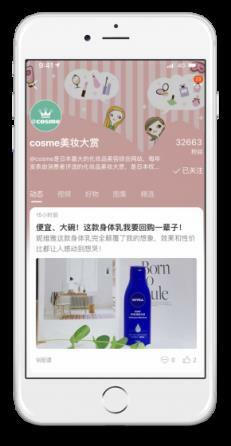 Regarding istyle’s entry into the general trade e-commerce market, Alibaba has commented that it "would like istyle to bring many popular Japanese cosmetics products and brands to Chinese consumers, along with @cosme’s rankings and beauty information." In the future, istyle will continue to support Japanese cosmetics brands’ access to the Chinese market, and also strengthen business relationships with international cosmetics brands that consumers are enthusiastic about. About "@cosme Official Flagship Store"
Brands carried: Around 20 Japanese cosmetics brands, including KATE, freeplus, suisai, SOFINA and CureI, etc. Number of unique products (SKUs) carried: Around 100 SKUs *istyle is aiming to carry 30 brands and 200 SKUs by the end of June.